Super HUD is the real-time stats overlay component to Holdem Profiler and offered completely free for those who subscribe to the service. The parent program is a web-based poker tracking tool that can automatically import hands into a database from any computer. Super HUD allows you to have an HUD overlay with pop-up stats while you play. 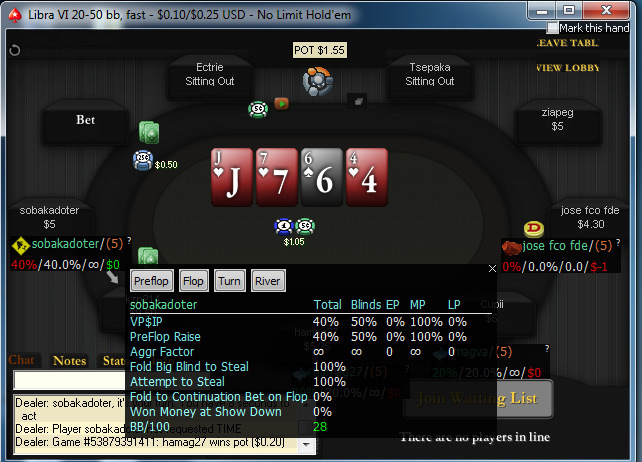 Super HUD is an addition to Holdem Profiler and Top Shark Pro pand allows you to sync your online hand history database with a Heads-Up Display (HUD) overlay while at the tables. The first step in this process is to get a Holdem Profiler account, which gives you a free 10,000-hand storage trial run. Once you’ve done that, you can download Super HUD, which is a 1 MB file. Installing the program is rather easy, as it takes about a minute to finish off. There is an HUD options tab that lets you pick your default cash and tournament profile. You can change how long mucked cards appear, add specific tournament filters, and set which table themes appear for the various poker clients. The good news about Super HUD is that it works right away and does a great job auto-detecting everything you want to do. In our tests, we brought up a 25nl full ring cash game of No Limit Hold’em at PokerStars and, even using a popular table mod, Super HUD worked right away and brought up the overlay box. We used all of the default settings and displayed a player type icon, name, hands, and other important stats such as VPIP and PFR. Again, all of this is totally configurable and if you click on the HUD, you’ll get a pop-up box that breaks out even more stats for pre-flop, flop, turn, and river streets. On top of all of that, everything is color-coded and uses very easy-to-read fonts. Overall, Super HUD is a helpful addition for those of you who use Holdem Profiler and it makes using that program a killer alternative to the competition. 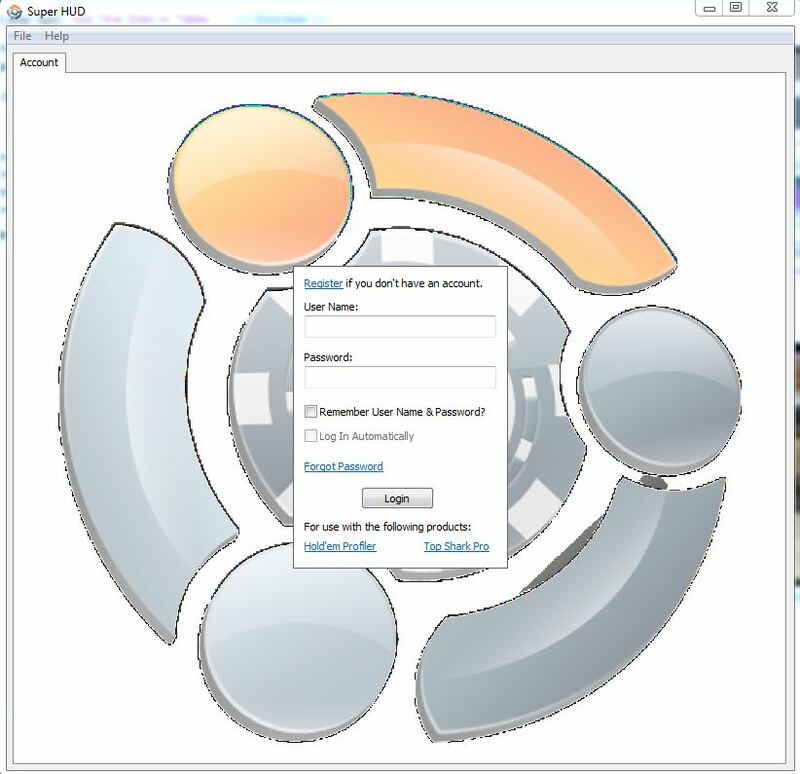 Since this program is web-based, it makes it real easy to jump between computers rather than constantly having to move databases around. The HUD works impressively and updates in real-time. It’s a sure-fire winner. Submit Your Own Review Let us know what you think about this software! Great HUD, lets you combine poker rankings and hand history files.